The RHN’s most popular and competitive fundraising event, set on the top floor of City Hall. Enter your team of four today! 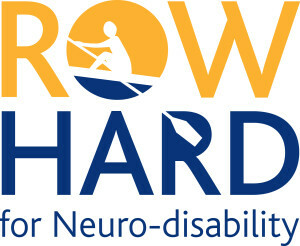 Back for its seventh year, Row Hard is more popular than ever! Join us on the top floor of City Hall, with three like-minded friends or colleagues, to row head-to-head against more than 30 other teams over a 2,000m distance. This is a fast and furious race, with all participants eager to beat their rivals and enter the final heat, over a shorter distance of 1,000m. Prizes are awarded to the fastest three teams, as well as the fastest ladies team, the highest fundraisers and the best dressed. Fancy dress is optional for general entry, but for RHN staff is compulsory! Team entry is £99, which includes food and drink all evening (wine, beer, soft drinks and bowl food), as well as pre-race fuel provided by the wonderful people at Clif Bars. There is a great playlist all night, a fantastic atmosphere and of course spectacular views across Tower Bridge and the Thames. Please show us your support by registering today.